In this episode we welcome Dan Robertson to continue our dive into the topic of diversity. 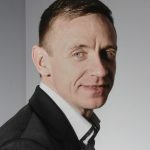 Dan is the President of Vercida Consulting and spends his working life helping organisations get up to speed with regards to diversity and inclusivity. One of the first points Dan makes is the importance of the relationship and balance between these two terms, and how an overemphasis on diversity can lead to unfulfilled goals. Our guest unpacks in an understandable manner, the basic reasons for addressing these issues in business and goes on to to cite some of the research that has propelled the field. We chat about obstacles and biases that have kept things a certain way for a long time and Dan gives us great insight into practical ways to go about dismantling these structures. The conversation ends off considering the early roots that inform these biases and how we can go about reflecting on our own internal biases. For an informative and actionable discussion, be sure to tune in! Dan Robertson is the Director of VERCIDA Consulting. He is widely regarded as a subject matter expert on workplace diversity & inclusion, unconscious bias and inclusive leadership. The alignment of diversity and inclusion for mutual benefit. The main arguments for diversity and inclusion and reducing group think. Some of the research that backs up these arguments. The biggest obstacle in the way of more diverse and inclusive workspaces. The surprising biases around job applications and the names of the applicants. Dan’s practical suggestions for battling bias in the hiring process. The way in which our biases actually play out on teams and widen gaps. The double bind and ‘thinking manager, thinking male’. How gendered norms start early in the family at school. Tactics for managing our own biases and mitigating their negative effects.